SAN FRANCISCO (CN) – An atmospheric phenomenon lingered along the West Coast over a recent four-year stretch, sending winter storms north and preventing precious rain and snow from reaching California. Dubbed the “Ridiculously Resilient Ridge,” the high-pressure system made the Golden State bone-dry and moved Gov. Jerry Brown to make an unprecedented order requiring nearly 40 million Californians to slash water use in their homes. As the persistent ridge returned each winter from 2012 through 2016, it pushed California into the driest and hottest drought on record. The state’s famed snowpack vanished, hundreds of thousands of acres in its agricultural heartland wilted and critical water-delivery systems were tested like never before. The now-historic drought – which scientists believe will become common due to climate change – raised questions about the state’s ability to sustain a $50 billion farming industry and deliver drinking water hundreds of miles south to cities like Los Angeles and San Diego. With the drought now in the rearview, some of the brightest climate and water experts are clamoring for the modernization of outdated water infrastructure and other reforms to prepare California for its next drought. 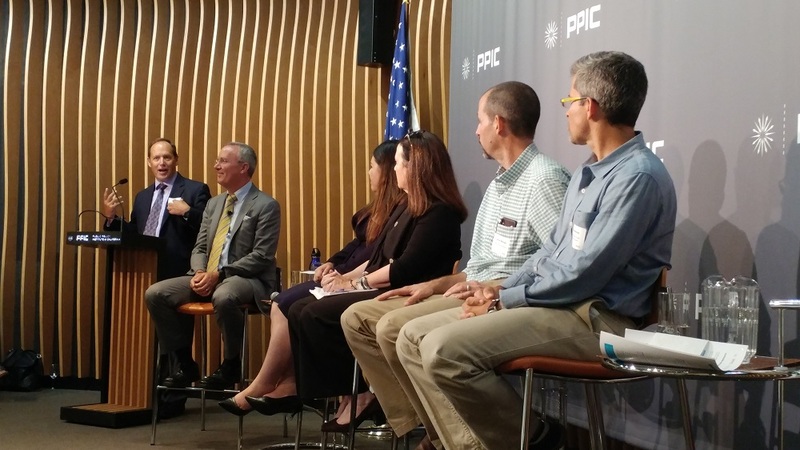 Using the latest drought as a springboard, Mount and 29 other experts over the last three years have been assessing California’s drought resiliency. On Monday evening, they unofficially kicked off an international climate conference taking place in San Francisco this week by presenting their much-anticipated report, titled “Managing Drought in a Changing Climate,” to an overflow crowd. The 30-page Public Policy Institute of California collaboration outlines steps state leaders and local water agencies should take to prepare for an increasingly volatile climate. It recommends that regulators ramp up drought contingency plans, update the state’s “water grid,” tweak allocation rules and scrounge up new funding for urban and rural water projects. 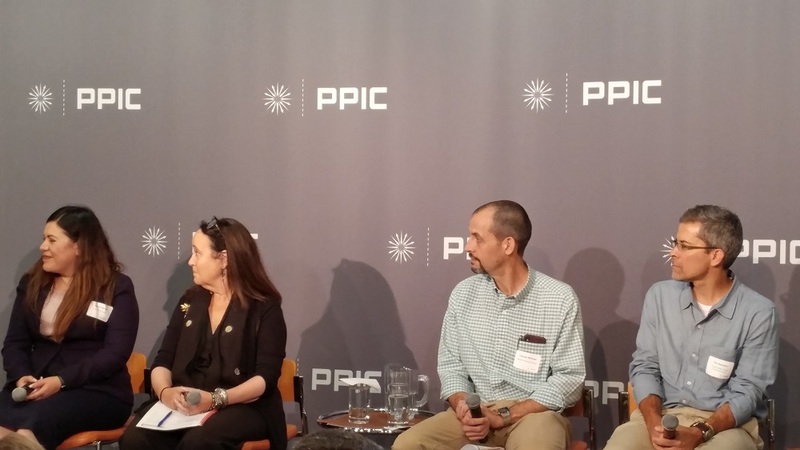 Ellen Hanak, PPIC water policy director, told the crowd California is already seeing the impacts of climate change through warming temperatures and diminished snowpack. Since California’s water-delivery system is fully designed to capture and store snowmelt, Hanak said the state will have to find better ways to store water during wet years and preserve it during droughts. The PPIC suggests updating dams and expanding groundwater-recharge programs in order to make the state’s conveyance system more flexible and less reliant on snow. Recent climate model predictions and simulations largely indicate California will continue to warm and receive less snow. While most long-range projections don’t reflect major changes in California’s annual average precipitation, they predict the precipitation will fall more often as rain instead of snow. Flood protection agencies and water suppliers are also taking note of the climate scientists’ warnings, particularly in California’s Central Valley. “The San Joaquin side in particular was plumbed for snowmelt – very predictable, slow runoff – and that’s not what happens anymore,” said Tim Ramirez, member of the Central Valley Flood Protection Board. Aside from funding, at the center of California’s endless water debate is how to divvy up supplies between cities, farmers and wildlife. The State Water Resources Control Board is currently mulling a controversial proposal that would require more water to remain in the San Joaquin River watershed during dry years to boost struggling salmon populations. If passed, the plan could reduce the amount of water available for nearby farmers and the city of San Francisco, which gets most of its water from a reservoir on the Tuolumne River near Yosemite. Farmers and Central Valley politicians have called the plan an environmental “water grab,” and San Francisco officials say it would lead to extreme rationing for its 2.7 million water users. Water board chair Felicia Marcus assured the crowd there is no “silver bullet” to cure California’s water woes but said all interested parties need to figure out how to get the most out of their limited supplies. “The answer isn’t to be a tug of war, the answer is to figure out how to maximize every drop,” Marcus said. “The state’s water system has numerous areas where available funding is far below ongoing needs. 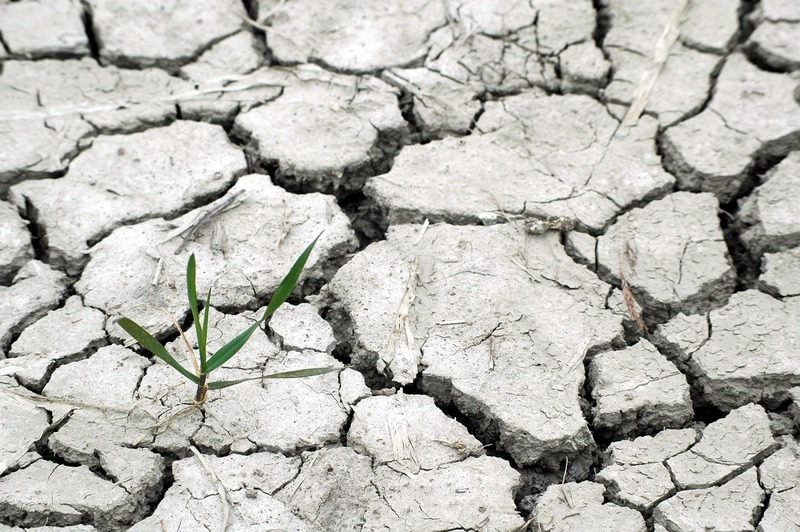 Reliable sources of funding are crucial for adapting to climate change,” the report concludes.